As you drive through Plantation Harbor you'll see a private gated community on one road to the left. This is the entrance to Paradise Island, and you'll have to live there to get in. 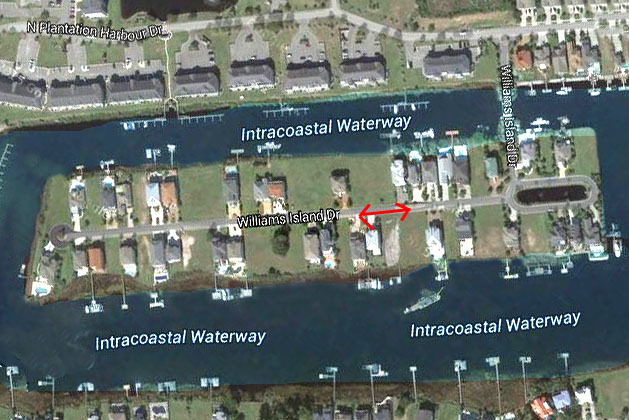 In this particular area, the Intracoastal Waterway breaks off into an extra loop, and Paradise Island sits between the two parts of it. Surrounded by water, these exclusive homes were designed to make the most of it, and they are all breathtaking and impressive. Most of these large estate homes will have private boat docks, and are designed with floor to ceiling glass for full appreciation of the views. Some have pools, custom outdoor fireplaces, kitchens, and party areas; as well as game rooms, Florida rooms, studies, and fitness rooms. They'll be 4 or more bedrooms, and homes will have every upgrade you'd expect in a true waterfront mansion. Yet compared to the same home in Florida, they are actually affordable...under a million in most cases. If you've decided to get that dream waterfront home you've always wanted, we would urge you to start with this exclusive development. Remember, the property taxes are also much lower outside any city limits. 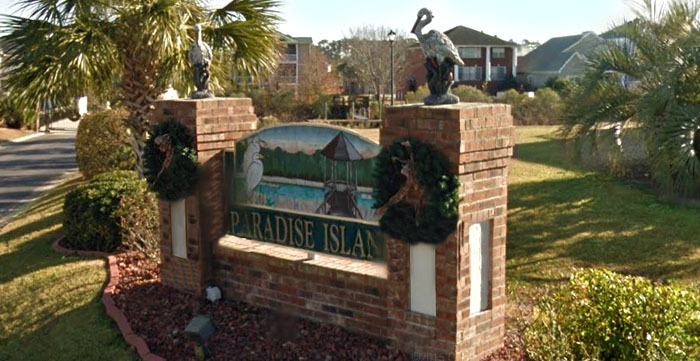 You get a lot more home for less with a home in Little River, SC. Call or contact us to make an appointment to tour one of these beautiful homes.